Beautiful Picture: The Pleasures of Paris. Beautiful Picture: The Pleasures of Paris. 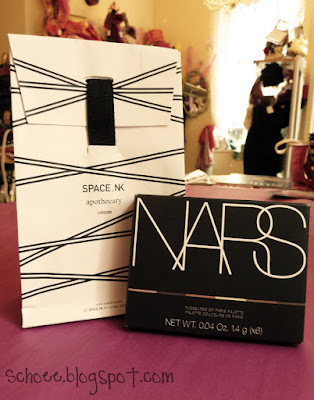 Home » Haul » NARS » Review » The Pleasures of Paris. In fact, i've never been to france...how weird is that? 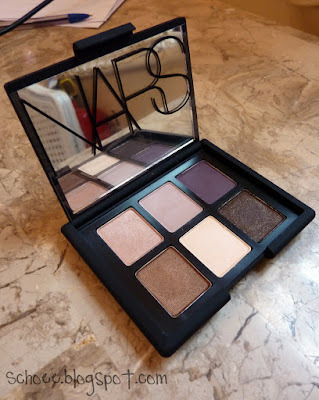 Anyway, I don't personally know the Pleasures of Paris, but when scouring the Nars counter last week in Selfridges, i fell in love with the Palette "Pleasures of Paris"
I've looked at Nars palettes before & theres always one or two colours i know i would never wear. But when i saw this one, i loved every single colour. I restrained myself last week, but when i saw i had more money in my bank than i thought i did, and after i'd been working so hard for my dad, i thought i'd treat myself yesterday in Space NK. 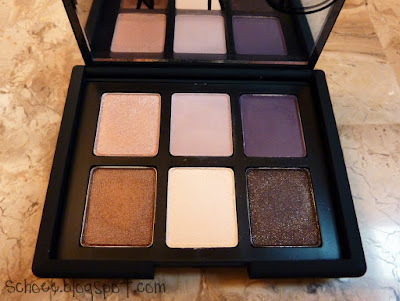 As i've said before, Nars shadows are such good quality. I do prefer them to mac. The swatches above were done with one swipe. 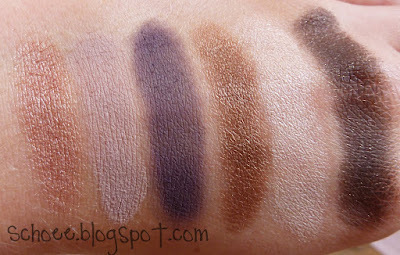 I also noticed that the matte shades are so creamy to touch. They're not cream shadows, but the consistency is so smooth. P.s. It's also Limited Edition, so grab it while you can ladies. The Lady in Space NK said it had been flying off the shelves and was really popular.